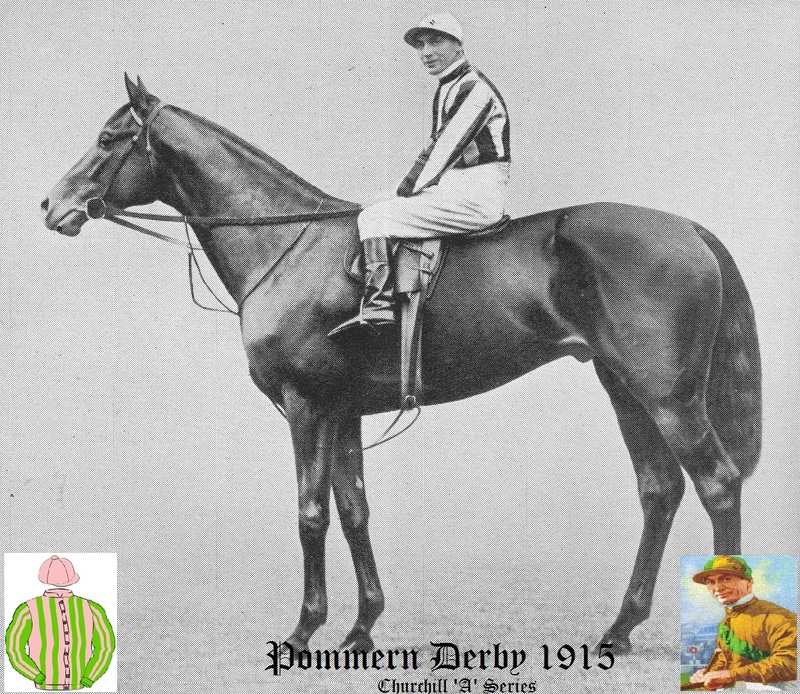 This, so called 'New Derby Stakes', was run on Tuesday 15th June 1915 at Newmarket and the winner was bred by Mr Soloman Barnato Joel and trained by Charles Peck at Newmarket. There were 17 runners from an initial entry of 18. The winner won by 2 lengths with 3 lengths between second and third. The winners time was 2 minutes 32.6 secs. The winner won a first prize of £2,400, (The equivalent of £234,500 in today's terms based on Bank of England inflation calculator).